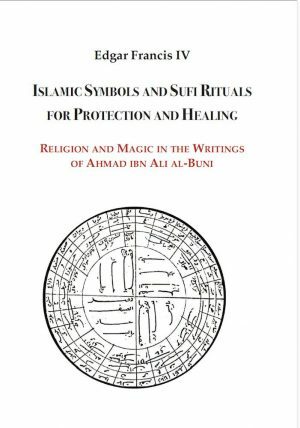 Originally from a Turkish miniature in the year 1708, this well known work of art has been lovingly restored by ‘Dawa’ir al Jameelah (‘Circles of Beauty’) artists. 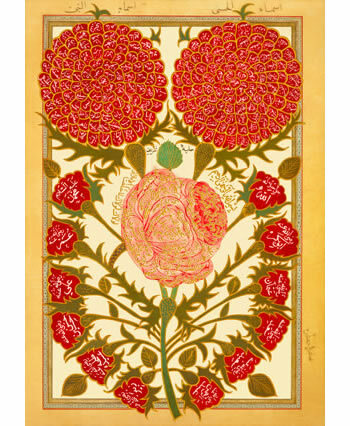 On the right flower are the 99 Most Beautiful Names of God (Asma ul Husna); on the left, the 99 “Noble names” of the Prophet Muhammad (Asma un Nabi). 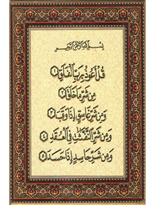 The Central Rose contains the description of the Holy Prophet, may the blessings of Allah be upon him and peace. The rosebuds around the lower portion are the names of the family and companions. The only one who understands is the rose. That my own existence has become effaced. On account of my love for the rose, my head is full of melancholy. Hence, the only thing I seek (as a cure) is the beautiful rose”. Farid ud Din ‘Attar, The Conference of the Birds. 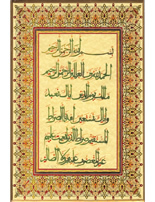 Surat al Falaq on tile..
Al Fatihah – on til..